Accurate evaluation requires several data processing steps. The SPL analysis software is designed to automatically determine band and lane raw volumes of an unlimited number of projects. 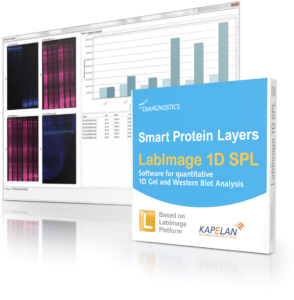 The software is designed to automatically use SPL standards to perfectly a) normalize total protein of gels and blots and to b) normalize target protein expression corresponding to its total protein. • automatic detection of bands and lanes even with gel smilies. 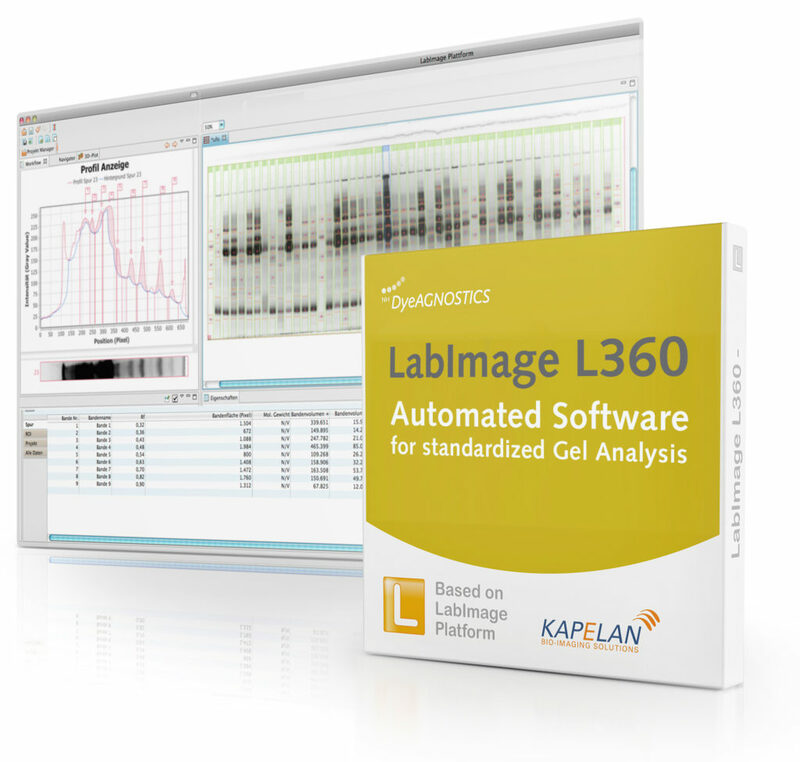 The L360 LabImage software is designed for daily routine quantitative and/or qualitative gel-based analysis of proteins. Combined with our fluorescent SPL standards, the software analysis workflow, data analysis and reporting can be fully standardized and automized. 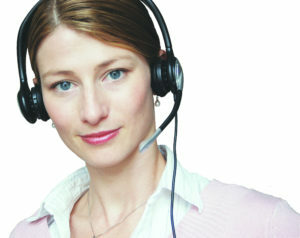 As an option, the L360 is compliant to 21 CFR Part 11. PDF available in German language only. We apologize for the inconvenience. 1. Download SPL Software for PC / Windows 32-bit or 64-bit. Is my PC running the 32-bit or the 64-bit version of Windows? 2) optional - Download Folder with SPL demo project (4 images each named project). 4) Activate software with the SPL software activation code. a) Open LabImage. Click on "help"
c) Click on "add licence"
Request the SPL activation code from us by Email.